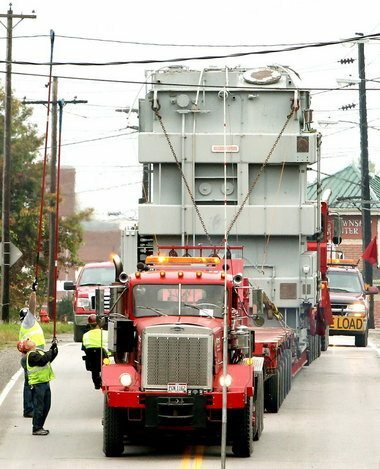 Transporting an Large power transformer (LPT) can be quite challenging. LPTs large dimensions and heavy weight pose unique requirements to ensure safe and efficient transportation. Current road, rail, and port conditions are such that transportation is taking more time and becoming more expensive. Although rail transport is most common, LPTs cannot be transferred over normal rail cars, because they cannot be rolled down a hill or bumped into other rail cars, which can damage the power transformer. This is because the heaviest load a railroad normally carries is about 100 tons, or 200,000 lb, whereas an LPT can weight two to three times that. 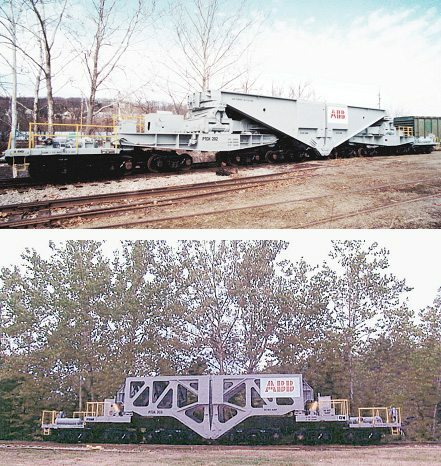 A specialized railroad freight car known as the Schnabel railcar is used to transport extremely heavy loads and to accommodate height via railways (see Figure below). However, there are a limited number of Schnabel cars available worldwide, with only about 30 of them in North America. Certain manufacturers operate a Schnabel car rental program and charge up to $2,500 per day for the rental in addition to other applicable fees. Access to railroad is also becoming an issue in certain areas due to the closure, damage, or removal of rail lines. Schnabel. Certain transformers are designed to be an integral part of the ‘Schnabel-type’ car. The transformer attaches to railcar frames utilizing a pinning system located near the base. This allows the transformer to ride approximately six inches above the rail. These cars range in mechanical design from 12 to 20 axles. Load requirements determine car capacity requirements. When an LPT is transported on the road, it requires obtaining special permits and routes from the department of transportation of each state on the route of the LPT being transported. According to an industry source, obtaining these special permits can require an inspection of various infrastructure (e.g., bridges), which can add delay. In addition, transporting LPTs on the road can require temporary road closures due to traffic issues, as well as a number of crew and police officers to coordinate logistics and redirect traffic. Picture on top depicts LPTs being transported via road and Schnabel car. The transport modular shown is 70 feet long with 12 axles and 192 wheels, and occupies two lanes of traffic. The Schnabel car shown in Figure above has 20 axles. Logistics and transportation accounted for approximately three to 20 percent of the total cost of an LPT for both domestic and international producers. Please let me introduce Cargolog Impact Recorder System an advanced Impact Recorder that logs shocks (based on accelerations and their duration) in three different directions, as well as other parameters such as temperature, humidity and angles during the transport and handling of materials. We have over 20 years of experience in monitoring demanding transport. Our customers include ABB, Hyundai Heavy Industries, Toshiba and Alstom Grid Ltd, and I believe that the application of using Cargolog® Impact Recorder can secure your deliveries, reduce transport damages and costs related to this. Initially Cargolog® was launched as a dedicated measurement system for recording temperature, humidity and vibrations, but has now turned into an advanced recording tool for monitoring transports with fully integrated GPS and GSM/GPRS. It is also possible to measure pressure and light etc. (to mention a few options). Cargolog® is a wireless data logger that measures and records the events throughout the entire logistics chain and you can analyze all the data, second by second either in our new app or in our PC Software. If you not have the opportunity to do the work on your own, we can help you. We have together with our customers performed many projects where we handle most of the work. One main reason to use our system may for example be that it is difficult to detect hidden damages that can occur if the goods are subjected to a shock. It may also be important to get information about GPS the exact position of the damage for insurance matters. Regardless the reason, we can with Cargolog® Impact Recorder System monitor your goods from start to finish and at the same time measure and record the events that occur during transport. We are an independent supplier and whether you need help with a project from the beginning to the end, or just with a specific task, we can help you. 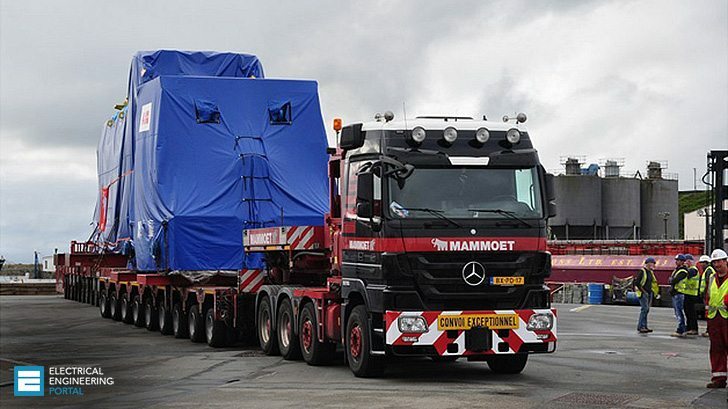 We have to transport 57 tons weight of an electric transformer from a bridge over a small river which is about 125~150 meter wide in a hilly area. The bridge already built on the river cannot take load of more than 15 tons. Please guide me how to transport it. We have 2×57 tons and 4×37 tons, total 6 transformers for transportation from this bridge. Here in Brazil, many times we rent schnabel car for shppiment or to transport LMPT transformers to factory for repair. We don’t have a big wide railroad like north of america or Europe. So the transport of transforme we have to get a special licenses and spend monetária a lot for this operation. Due to this the factory repair considering long distances can’t be só profteble.